For twenty years, the Cantab Lounge, a dingy bar in Cambridge’s Central Square, has been host to the Boston Poetry Slam and some of the best performance poets on the local, national, and international scene. Every Wednesday night the venue gives local poets a chance to share their work in the open mic or slam and features either a headlining poet or theme slam. Most of those nights, poet Adam Stone is behind the bar. In addition to mixing drinks, he also curates the venue’s weekly writing prompt series, Tips from the Bar. Stone, himself a Cantab “Champion of Champions,” has just completed a book documenting the poetry that’s passed through the venue. 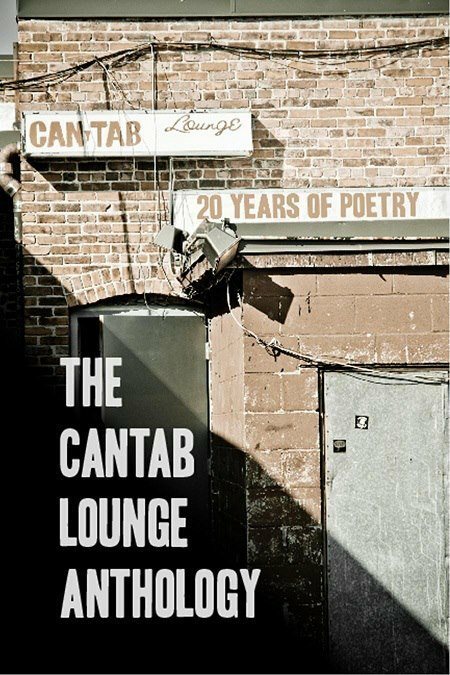 The Cantab Lounge Anthology packs twenty years of poetry between its covers, highlighting those poets and poems that have become the stuﬀ of Cantabrian lore. Tonight, Monday, October 15, the Cantab Lounge will be celebrating it’s storied history and the new anthology. There will be plenty of Cantab regulars performing “covers” of work featured in the anthology, and Stone will be selling copies of the book and taking orders. You can ﬁnd more information here.